Hectic school schedules and additional pressure from tuition classes eat up most of the kid’s day. It can get quite monotonous for you kid. So, what can your child do during the summer break where he or she can have both fun and also use the time well? During the holidays, children must be allowed to give studies a break. (Though they still have to finish their holiday homework though). While you let them unwind by allowing them to explore some fun activities that they may not be able to otherwise find time for, make sure that your child also engages in learning something new, thereby making his or her break productive. In case you are still confused with the kind of activities your child can do, then have a look at the following productive activities for your teenager. Planning a trip during summer vacation is quite common. Try picking up a place that stands out from your child’s usual environment. If you belong to concrete jungle with traffic and noise being a part of your daily affair, then how about escaping to the hills? If you belong to a sea city, then how about a trip to the valleys? 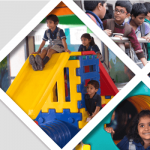 Ideally, you should decide such places to visit during your children’s summer vacation that is new to their experience and also adds learning values during the course of the trip. What can be a better time to learn a new language? The younger the mind is, the easier it is to learn a new language. Studies suggest that at a cognitive and academic level, children learning an additional language are more creative, better at solving complex problems and usually score higher on standardised tests. Your child can either take online classes or can join a language teaching institute. Learning a new language can never go waste. Especially, of your child dreams of travelling and exploring new places in the future. Rather than being cooped up at home all day, get your child enrolled for a summer camp. Indulging in activities offered by summer camps are indeed both enthralling and liberating. Once your child returns after their summer camp, they are bound to look at things differently. They may even start appreciating the smaller things in life which they would otherwise not even pay much attention to in the past. For your children, workshops can be a great way to spend their summer vacations as they will get to learn new things. In addition to learning, they will also get to meet new people, make new friends and interact with those who have similar interests as theirs. They workshop they attend can be pertaining to anything that interests them. It could be arts and crafts, origami, drawing, singing, dancing, learning an instrument, martial arts or even life skills. A comic, a novel or a journal, be it anything, reading is a good way to improve concentration. They are a fun way to discover various things in life. Reading books can inspire your child in positive ways. With more and more books being published, there is no death of books. Reading can help your child groom and learn the basics of life. Every book has something to teach and the habit of reading itself is one of the best habits you can help your child develop. You can help your children select books or read with them and share the experiences about the book. The daily hectic schedule of your child deprives them of sports and games. Let summer be the time when your child goes out to the park to play. Run with other children, or maybe splash some water in the pool or learn few swimming strokes. Just ensure that your child practices it at the right time of the day and do not fall sick by going out directly under the sun. Summer vacations can be the right time to let you child boost up their general knowledge. Instead of making it a boring process by fixing time bound schedules to study, you can make it interesting by letting them learn GK in innovative methods like videos. You can also make them participate in quizzes. Let your child learn the realities of the world. Take them to an old age home or an orphanage to spend so sometime with the needies. You can probably get some goodies that your child can distribute in the organizations. While your child may not be keen on doing this, along with other fun activities, you can help your child revise their studies. If you think, in the previous classes, your child was lagging in any specific subject or in performing over all, summer break is a good time to make up. By going this, you can ensure that your child copes up where they lag behind academically. Summer break is certainly a time for relaxation. But to keep your child’s mind sharp, summer break needs to be a time of learning as well. If you have any more productive things to do for teenagers then do share them with us by commenting below.